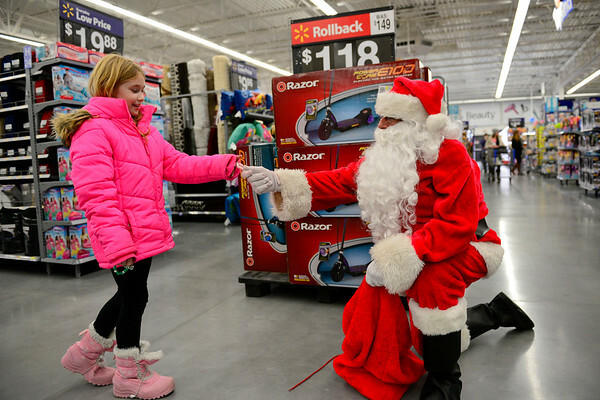 Bob Deveau, dressed as Santa, gives a candy cane to Logan Jenkins, 8, of Goshen on Dec. 13 at the Walmart on Elkhart Road. "I get down on one knee so I don't scare the kids," Deveau explained. "They seem to be more comfortable when you're at their eye level."